Canon 7D II + 100-400mm II, 1/2500 f6.3 ISO 640. Beautiful in flight image of this lovely duck. Great flight pose, with wings up, and amazing detail and sharpness, Joe. Beautiful shot. Sweet flight shot-water drops on her belly? 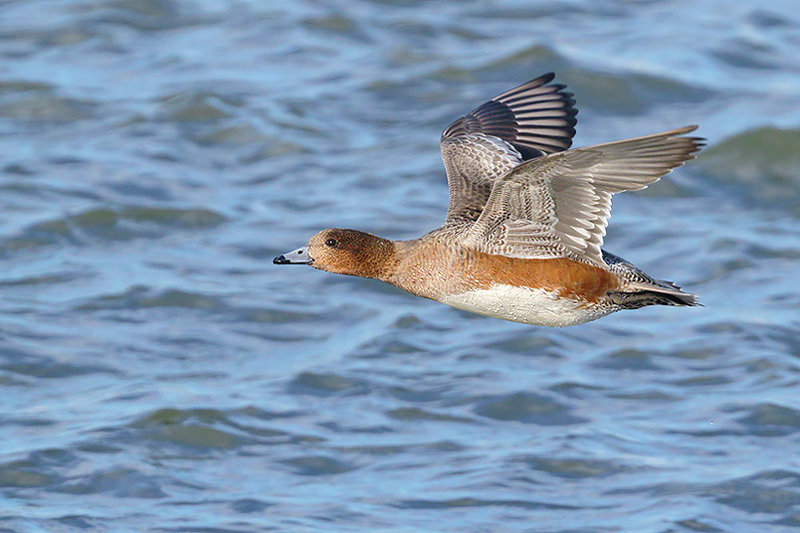 These little wigeons have such a sweet face, and this is a lovely flight capture of this pretty girl, Joe! Very nice flight shot with a good light.